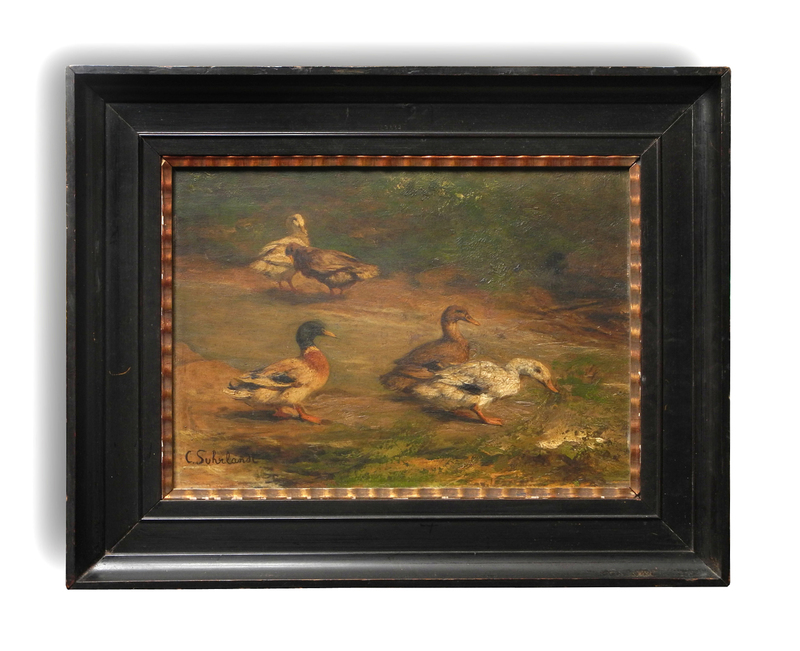 A stunning late 19th century oil on panel by German artist Carl Suhrlandt (1828-1919). 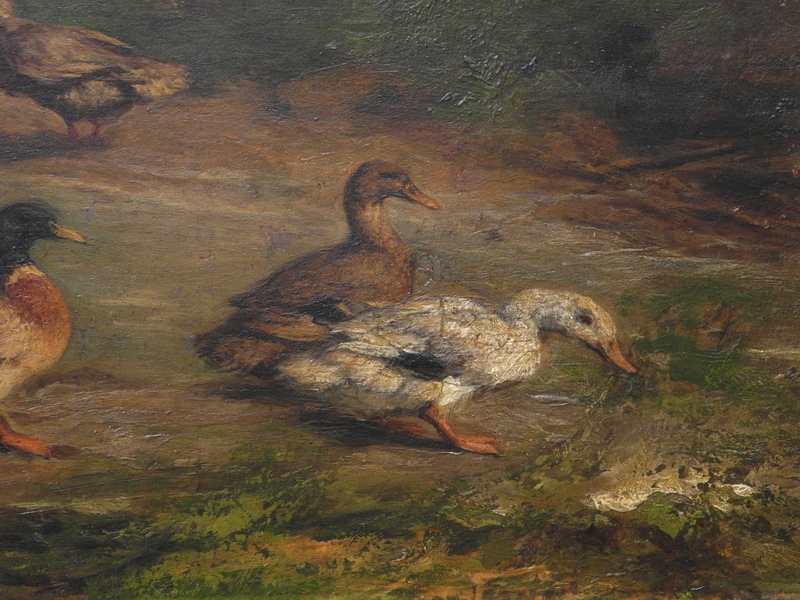 An impressionistic study or farm ducks. The painting alone measures 26 x 36cm. A hugely appealing painting by a well collected artist.